First, a caveat: Many companies believe that to show employees they care about their health and well-being, they must create a culture of health. This isn’t necessarily the case, because the culture (the underlying norms, values, and beliefs of an organization) must be aligned with the organization’s business strategy. 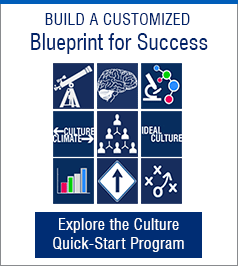 So if business goals don’t revolve around health and well-being (as it does for a hospital, medical non-profit, or Limeade), using the term “culture of health” will not only fall flat with employees, it will remove the emphasis from other necessary aspects of your culture that are more closely aligned with what you are trying to achieve. For many organizations, though, a culture of health makes sense and there are important attributes that need to be in place. Think about your own organization’s culture when you read about the following cultural attributes. Do you have a culture that is actually set up to support employees to be healthier? Long-term focus. Health doesn’t correlate with employees who are tied to their desks and cranking on near-term deliverables for 10 hours a day. That’s a short-sighted approach that will result in burnout, attrition, reduced productivity, and, well, you can guess the rest. But if your company takes a long-term focus and gives them free reign to take breaks for workouts and healthy lunches, you’ll see the return in employee health AND business outcomes. Flexibility. If people are following a prescribed process and approach to their work, there’s not much control over their time. However, if you provide flexibility in how, when, and where the work gets done, there’s more room for employees to prioritize themselves during the day. Growth mindset. While there’s a “social desirability” to focus on learning and growth, some companies really don’t believe people can improve - or don’t actively support it. Other companies support it for certain roles (such as management positions), but don’t provide learning and growth opportunities to front-line employees. People have to believe they’re capable of more - and that starts with a growth mindset throughout the company. Without it, you’ll end up with disengaged employees looking to jump ship and your organization won’t get healthier. Try, fail, try again. You know there’s no such thing as perfect, right? But that doesn’t stop companies from striving for it! If your organization pushes for perfection, you’re probably not encouraging people to experiment and fail - and both are key to learning and growth. Also, when people work on improving their health, they have to try and fail at lots of different things (what they eat, how they like to exercise, etc.) before they find what’s right for them. So if people feel free to learn through trial and error at work, they’ll do the same when it comes to their health. Don’t nickel and dime. If your company is frugal-to-the-max, your kitchen and break rooms probably aren’t stocked with healthy food and beverages (after all, stevia-sweetened drinks cost more than Mountain Dew). And you’re likely not offering gym memberships or encouraging people to break away from their desks for a walk. It ties in with the long-term focus: if you want employees to make healthy choices, give them the tools - and the time - to do so. Value your people. Last but nowhere near least - your people must feel valued. There’s no sense in focusing on health if employees feel like cogs in the machine, hamsters on a wheel, warm bodies in a chair. Show people you care by listening to them, involving them in decisions, and empowering them to own their work. People want to give you their best - they really do. So show them they’re important from day one. That their well-being matters, their happiness matters, their lives matter. They’ll engage and give you 100 percent - not just in their work, but in their approach to health. And that truly makes all the difference. Does a culture of health make sense for your organization? Would it be relevant to your culture and mission? I'd love to hear your thoughts, experiences, and ideas on this topic. Laura Hamill, Ph.D., has over 20 years of experience helping companies be more strategic with their most important asset — their people. Laura is the Chief People Officer at Limeade, an employee engagement platform that inspires people and companies to improve their health, well-being, performance and culture. In this role she leads the People Team (Human Resources), while nurturing the Limeade culture of innovation, developing groundbreaking people practices and architecting employee engagement strategies for Limeade and its 100+ enterprise customers.